The villa is jointly owned by myself, my husband and my sister. The other 2 owners are silent partners whilst I do all the work with bookings, and the financial side of things. My husband and myself along with our son try to get to the villa at least once a year so that we can carry out maintenance and updates. We have a fantastic management company who keep on top of this when we are not there. We bought the villa back in 2004 and my son being young at the time got to pick the shape of the pool. It is not a very common shape. We love the peacefullness of the area of the villa. You really wouldnt believe how close you were to the theme parks and the I4. Looking forward to being able to travel out at any time of the year rather than being restricted to school holidays. For privacy reasons, the marker on the map shows the Westbury community location and not actual villa location. 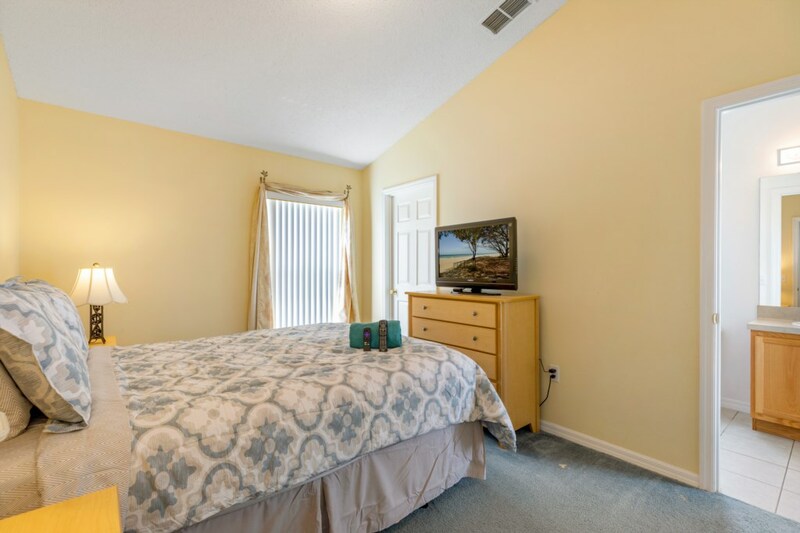 With no passing traffic this villa provides you with the peace and quiet to relax between your exciting visits to the theme parks and other attractions that Florida has to offer. Drive straight to the villa, no need to stop to pick up keys. A 4 bedroom 3 bath room villa, Furnished to a high standard and packed with extra comforts to help you enjoy your holiday. Comfortably sleeping eight with plenty of additional living space to help you really relax. In October 2015, the whole villa was redecorated (inside and out) and the pool and Spa were resurfaced and re-tiled. 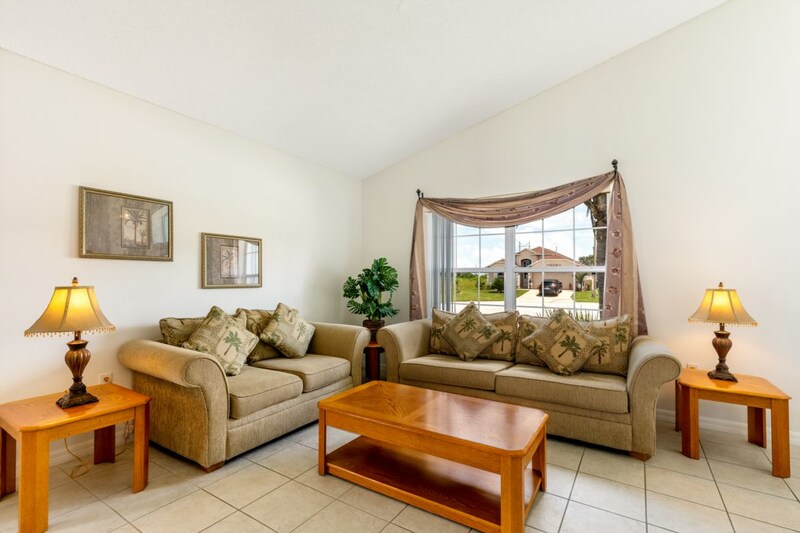 The villa is situated in the community of Westbury, 2 mins from the I4 making driving to all attractions and the East and West coast extremely easy. There are plenty of local facilities including supermarkets, restaurants and golf courses. The Posner Park Center with shops and a cinema complex is just 2 minutes away. The new Lego Land theme Park is easily accessed along Highway 27. An ideal base for your home from home vacation. This villa has been furnished to a high standard and includes the following amenities. Master bedroom 1 features a king size bed, ensuite bathroom with garden tub and seperate shower cubicle. With direct access to the pool area and windows looking out over it, you can relax in here and watch the flat screen Smart TV or a DVD whilst keeping an eye on others in the pool. Master bedroom 2 features a queen size bed, ensuite bathroom with garden tub and shower over. Direct access to the pool area, via the bathroom. There is also a Smart TV and Radio alarm clock in here. Two further twin bedrooms share a third bathroom with bath and shower over. Both twin rooms feature a flat screen TV, enabling the children to relax between visits to the attractions without disturbing others. One of the twin bedrooms has a disney theme to it, and there is a Smart TV in here. There is a DVD player and PS2 games machine which can be used in either of these rooms. The communal living areas have been tiled throughout. The pool has been extended and there is a spa from which you can look out over the open landscape. To the rear behind our garden area there is a 5ft hedge. Pool door alarms are fitted on all doors accessing the pool area for anyone worried about the safety of young children. We have a total of 8 loungers and there is a hexagonal table for thoses alfresco meals by the pool. There is also a safety fence (removable) between the patio area and pool for extra safety. A bathroom can be accessed directly from the pool area saving dripping bodies from running through the villa. There is a small selection of pool toys available for your use. 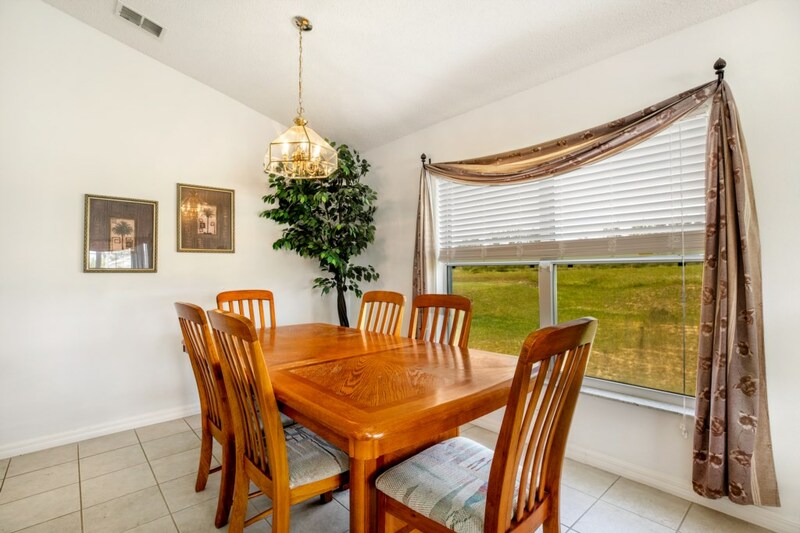 There is a formal dining area and a breakfast bar for more casual dining. There are two separate living areas, giving guests the option of chilling quietly whilst others watch the TV. It is possible to view the pool area from here, via the patio doors so that children could be watched whilst others enjoy a movie. The lounge area has a CD/Radio stereo for your use. 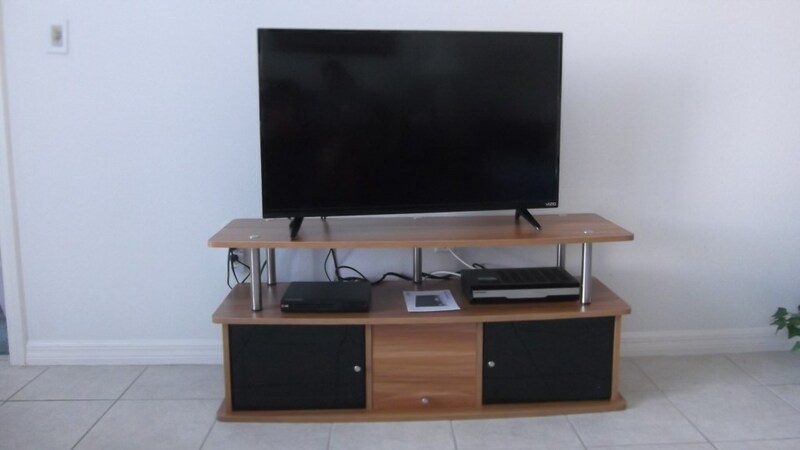 In the family room you will find a Large flat screen Smart TV and DVD player, and there is also a PS2 with games. There is also a small selection of board games and numerous books for both adults and Children. There is a comprehensive DVD choice and Ps2 games, additional DVD's and PS2 games can be rented. The Fully fitted kitchen provides all the equipment you need to cater for the family. There is also plenty of worktop space. It is possible to view the pool area whilst preparing the food. A charcoal BBQ has just been installed in the grounds for those wishing to use it. Off the kitchen you will find a laundry area reducing the need to fill so many suitcases. For those with young children we have provided a high chair and a travel cot (crib) with basinet for your use, along with a selection of book and toys. There is also a games room. 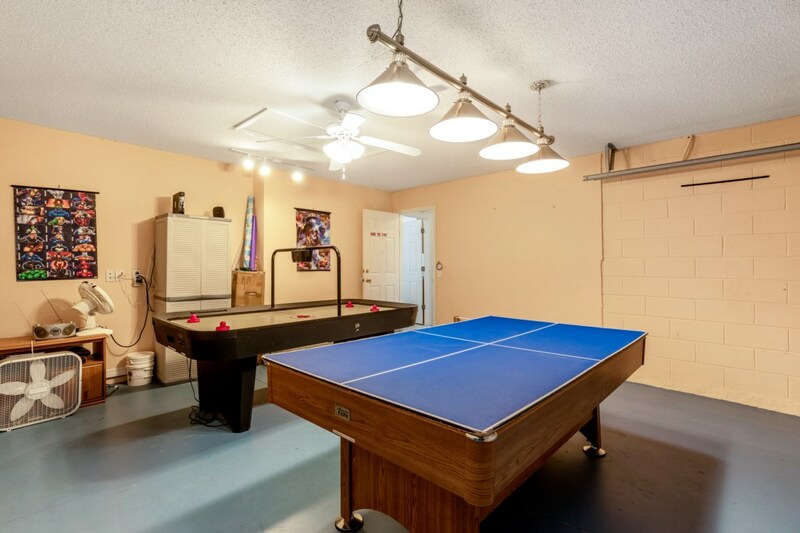 It features an Air Hockey table, a pool table, table tennis table and dart board. Ideal for those rest days between your fun packed days out. We offer you complementry Wi-Fi which works throughout the house and pool area. You can make free local and national calls, plus selected international calls by prior arrangement. you feel like home since the first day ! There is plenty of space for the children and adults. We enjoyed the games at the garage ( pool table, hockey table, darts , etc ). The swimming pool is amazing ! 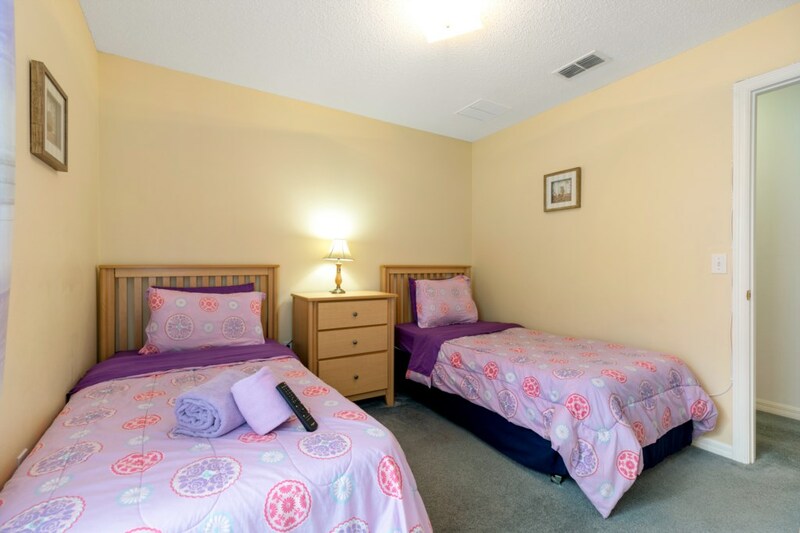 Location is great 25 min to Disney or 40 to Universal. Peaceful neighborhood ! Stores in the area also !!! Great house !!! the house was really nice, clean, and had a really nice pool. 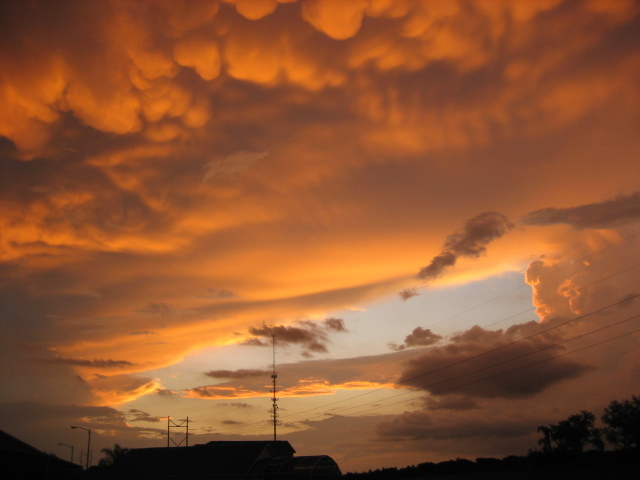 It was in a good location, convenient to a lot of activities in and around Orlando, Kissimee, and Tampa. There was seven of us, four adults and three children. This house had plenty of room for this large group. Nice clean large villa with great games room . Very quiet peaceful location. Nice pool and spa. Kitchen great accessories . We really enjoyed our stay here at Symphony Blue. It is a very spacious, well equipped and clean villa. It is only about 20 mins drive from Disney & Universal. It is in a nice quiet area. The owner Christine was very helpful to us during our booking process & our stay, as were the management company. 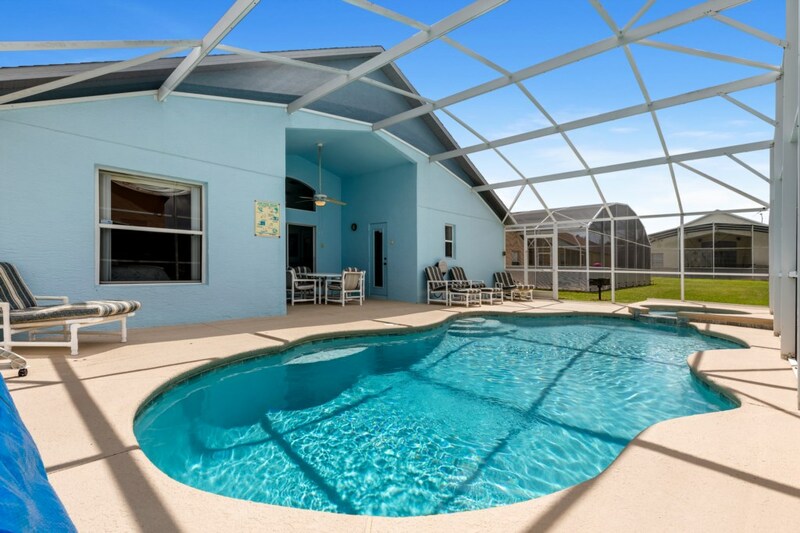 I would highly recommend this villa for any one staying in Orlando. This home is clean and neat and very conveniently located. Maintenance company responded quickly to take care of a problem with our cable box. Although the décor could use a little updating, we were very pleased with the accommodations for this price. The owner, Christine was very helpful with information about the parks, car rentals and the area in general. She responded quickly to my inquiries. Very nice. We were two families together in the villa and had a great time there. 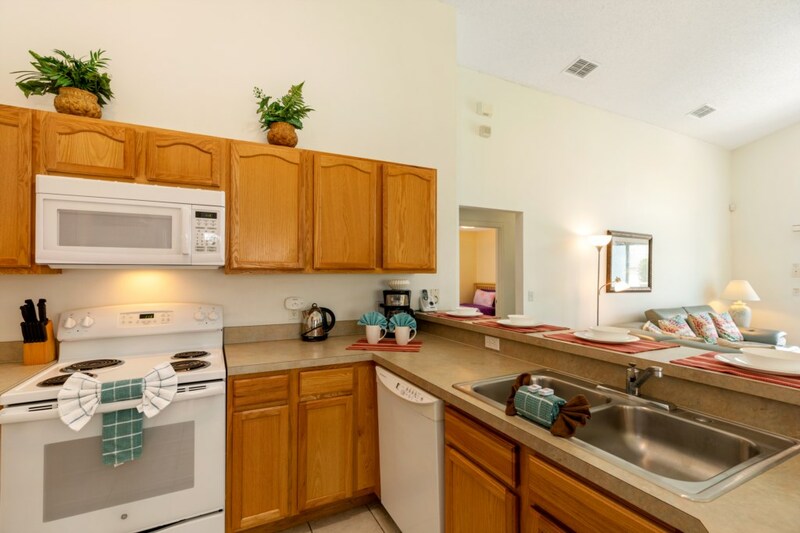 The villa is located in Davenport but very close to I4 and Posner park shopping center is near by, which is very convenient. Good choice for people who want a quiet location for their vacation. We really enjoyed our stay in this villa. It was very comfortable for our large group, with a well-stocked kitchen, plenty of books & toys for the kids, nicely appointed bedrooms, and a fun game room and pool. The neighborhood is quiet and it only took us 15-20 minutes to drive to/from Disney. The owner was very nice & helpful as well. We stayed for 11 nights and the villa was perfect not only as our base to visit all of the major attractions but also to come back and relax plus have great family fun. The pool and pool area is perfect for chilling out. The games room was ideal for keeping my two children occupied in the evening. My son is 15 and very competitive so we enjoyed playing pool and table tennis. 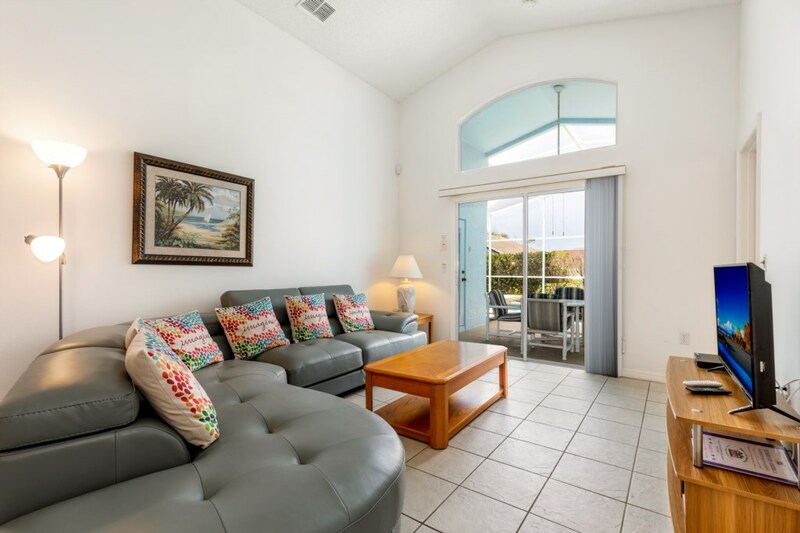 The villa is ideal for a family or two to stay and enjoy everything that Florida has to offer. We even ventured as far as the Everglades. We as a family have stayed at this villa on three occasions. It is situated within easy reach of shops, parks, restaurants etc. but far enough away to be quiet and relaxed. There is plenty to do at the villa, the pool, the games room, the internet, or just sit in the sun. The owner is very accommodating and helpful and I can't want to go again! All rates are per week. Discounts available for stays of 20 or more days. 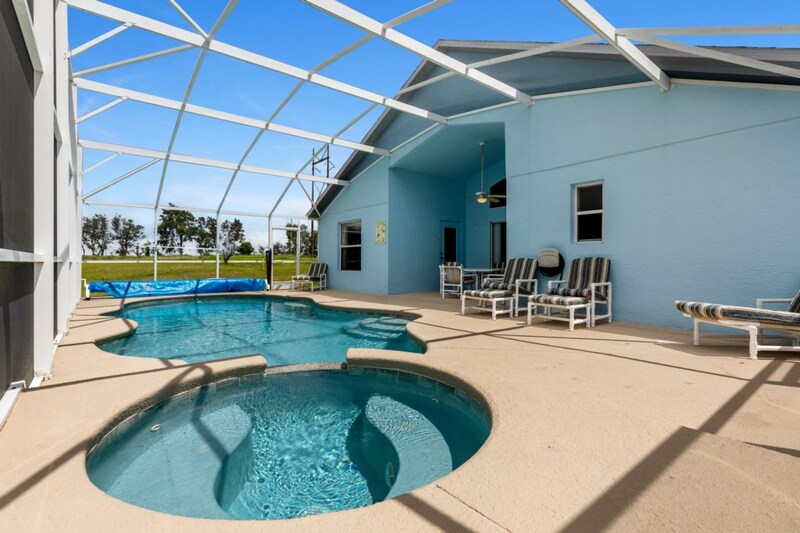 Pool heating available at $210 per week (slight reduction in summer months). Spa heating only is just $75 for the week Minimum of 5 days rental charge for pool heat. 25% deposit required subject to a minimum of US$225. £330 / $400 refundable security deposit required with full payment ten weeks prior to departure. 22 Apr 2019 to 12 May 2019 - use the form below to enquire about these dates. Average rating: 4.9 / 5 from 21 reviews. This was our 17th trip to Central Florida and this home was one of the nicest we've ever stayed in. The pool & spa were amazing! Very clean and well maintained. 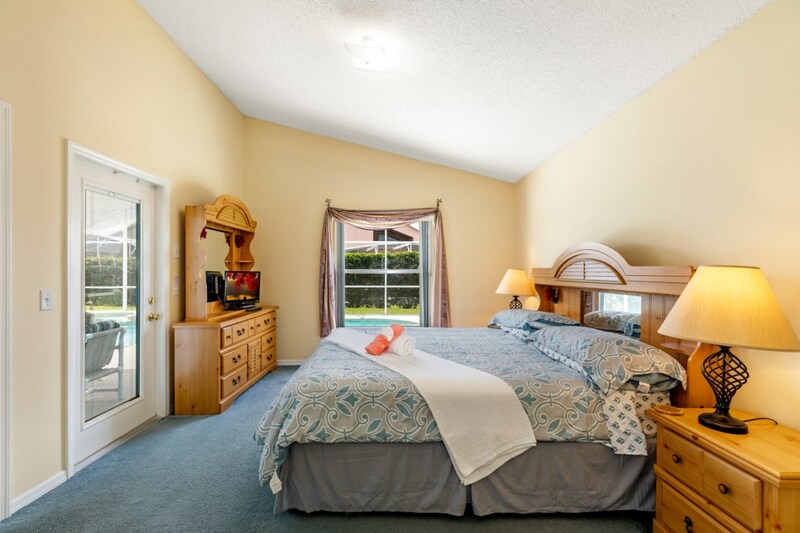 The home is very well equipped, has comfortable beds and patio furniture. It was a pleasure dealing directly with the homeowner, Christine. This is the second year in a row that our extended family of eight has stayed at this four bedroom home. The floor plan worked out well for us. We (the grandparents) had a large private room with ensuite on one side of the house while the kids and grandkids shared the three bedrooms and two bathrooms on the other side of the house. The games room in the garage was a real hit with the kids. 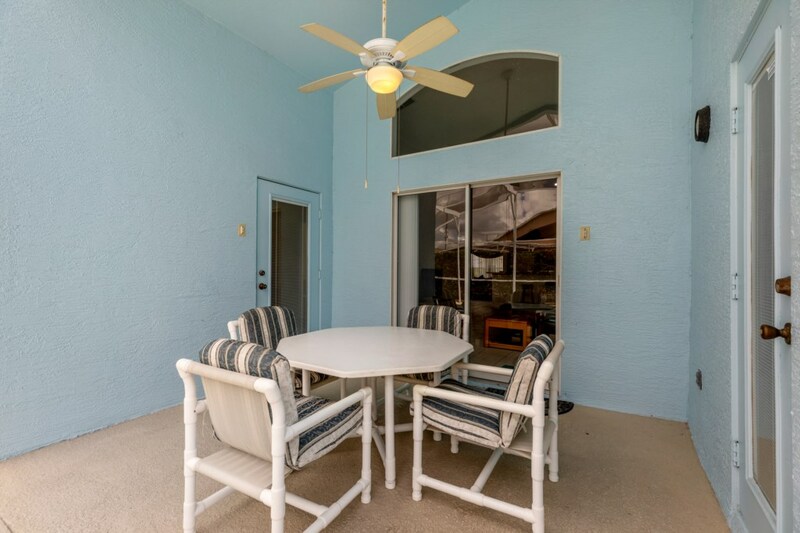 It is a lovely, clean, well supplied and decorated home with heated backyard pool and a private side yard at the end of a quiet street, It is close to shopping, restaurants and Disney theme parks and we highly recommend it! Symphony Blue? More like Symphony Wooooo! Wow! Just wow! Our party comprised x2 70's, x2 40's, x2 teenagers and x1 7 year old and it was a perfect fit for us all. The villa is situated two minutes from a main Highway and restaurants. A Walmart is 15 minutes away too meaning local facilities are easily at hand. More importantly, the villa is just 20-40 minutes (traffic dependent) from the Disney and Universal parks. Location wise it was superb. The only noises heard were those of other families jumping into their pools. Four bedrooms gave ample space for us and the size of the master was incredible especially the bathroom and walk in wardrobes. The kids had plenty of room in their rooms too and the second double bedroom was also a very good size. The property was immaculately clean on arrival and the use of the amazing washer and drier allowed us to keep it that way. The kitchen was ample for what we needed in terms of serving out breakfast, prepping pack ups for the parks and having the occasional dining in evening. There's everything you need here! There's a wonderful dining area along with two lounge areas that will give more than enough space for everyone. Add in the wifi and everyone was happy. Games room was a bonus. Pool table/table tennis table was good fun and the air hockey table kept the kids happy. A family game of darts had us howling with laughter into the early hours one night. The pool is superb and surprisingly deep which allowed for more fun when jumping in. The spa was also a treat in the evenings keeping you warm with a glass of bubbles or a cold beer to hand depending on your preference. Finally, we even met some of the neighbours who were helpful with little snippets of info. All in all, Symphony Blue was just a perfect base for us. Not too close to the attractions to make it tourist hell and not too far away to make it a chore to get to. When we get around to making a return, this will be number one on our calling card. Thanks Christine for all your help and advice too with booking stuff! Owner's response: Hope to have the pleasure of you staying again at some point. Had a few problems with the pool alarm at first but apparently it's the law in Florida so you get used to it!! Lovely villa, great space & rooms - the children loved the pool & we had many a family hour playing pool in the games room. Great rooms & 3 bathrooms, one directly off the pool area which saves wet feet being paddled through the villa. Great location if you don't like the hussle & bussle of Disney all the time, we tended to do either one day off or go into the parks later in the day (we even managed to blag free parking on the odd occasion!) Ovation restaurant over the road was a winner, great food & drink. Overall, a lovely villa with great facilities & in a great location if you want the best of both worlds. 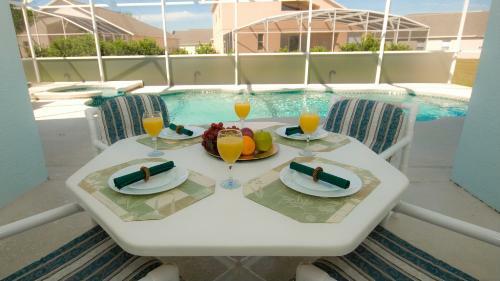 Villa was comfortable, well equipped, and perfect location for an Orlando holiday. 3 bathrooms gave privacy for 5 adults, 3 of whom are disabled. No access problems, great for children or older people. 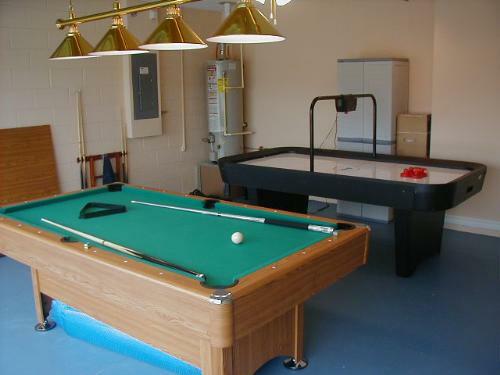 Beds comfortable and games in garage fun to use. All in all a great holiday at a great villa. Fully recommend this. Great vacation villa for our family get together. House was clean and had all facilities required. Grand children loved their bedrooms and the pool. Would definitely re-visit this villa again. Had a great week at Symphony Blue villa! It was clean, quiet and had all the amenities! Christine was a pleasure to deal with and we will definitely consider staying there again in the future. The only down side was the beds could use some new mattresses (except the queen which looked like it was a newer pillow top). Perfect location for an amazing family holiday!! From first impressions to exiting the villa, this had everything a family of 4 needed and more. A beautifully well kept villa containing everything you would need for a perfect stay. 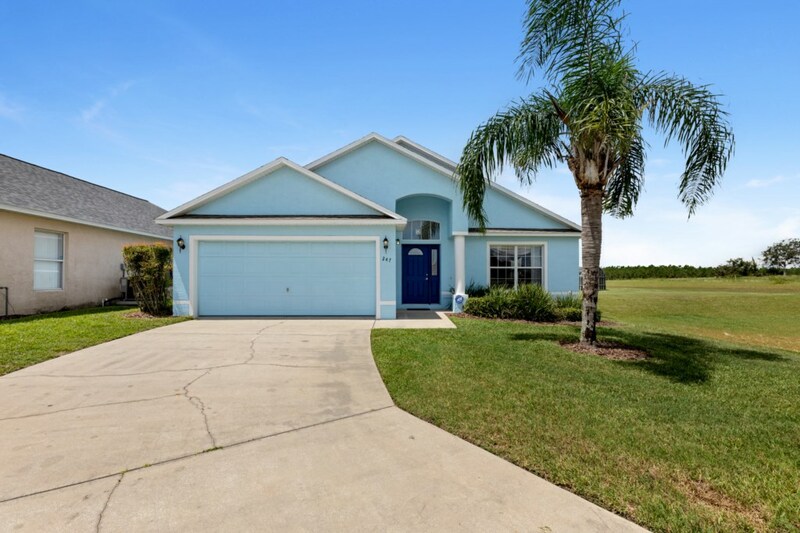 In a location close to all of the major theme parks, & shopping, yet in a blissfully peaceful and well kept neighborhood, the villa is the last on a cul-de-sac, so benefits from a quite area with no on-lookers. The pool was perfect for the days we used it, great for tanning, and great size for the kids (& grown up's) to enjoy. Whilst we we're only a family of 4, the villa could easily accommodate two families as we didn't use the Queen room or second twin bedroom, yet even still the villa felt sufficient for the size of our family. Inside the villa, all requirements were covered, and more so for the boys, full access to NBCSN, so we could keep up to date with the goings on of the Premier League!! Overall, an excellent holiday in a beautiful and secure base. We will return!! Great villa very quiet everything you need for an enjoyable comfortable stay. The girls loved the pool with Derek the inflatable shark. Christine was very helpful and very swift with all responses / invoices/ receipts. Great location for all the parks and supermarkets preferred the Publix to Walmart. This was the first time we rented a Villa as opposed to a hotel room and we absolutely loved it. 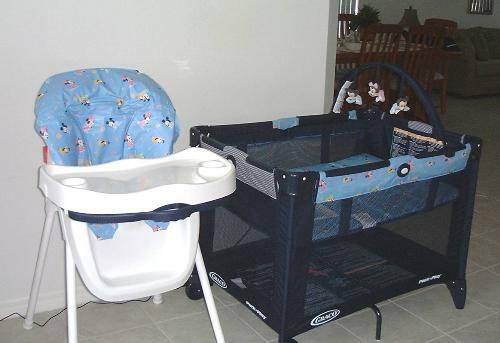 We have two toddler boys and this home accommodated them very well. The Villa was tidy and very comfortable. The pool area was great too. We hope to return at the end of the Summer! Everything from my first Enquiry through to deposit refund was easy and pleasant. The owner was very helpful and quick to respond to questions and provided plenty of information before and during our stay. The villa itself was lovely. Situated at the end of the road and not overlooked from the back meant that pool time wasn't shared with neighbours! 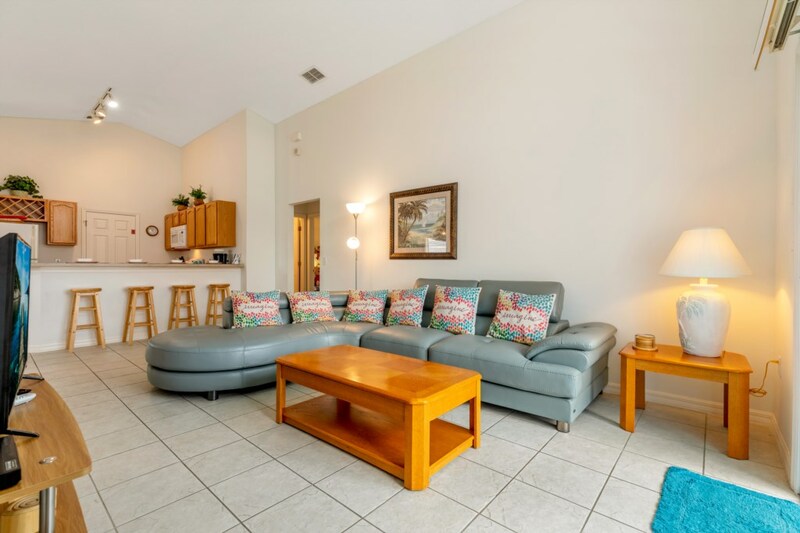 The whole place was decorated and presented beautifully and the location was perfect for hoping on the I4 which gave easy access to all the local attractions. The games room was a big bonus for us. There is literally nothing we would change about our stay at Symphony Blue and hope to return one day soon. We found the villa quite easily and with the key code we were in and making a cuppa within minutes. The villa is very spacious, clean tidy and well decorated. 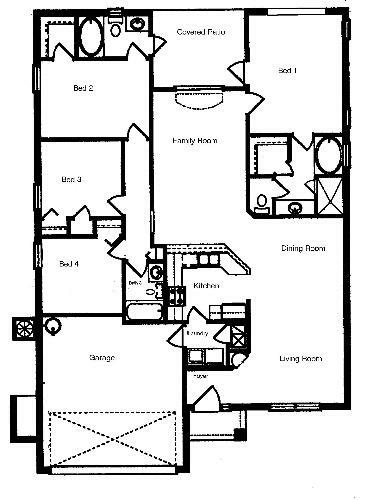 All mod cons with massive bedrooms, two master with en-suite and the two twin rooms had a shared bathroom, perfect for a family. Swimming pool was well heated and quite big too. I would recommend this villa to anyone with kids. We have been to Florida many times before this but I must say this rated very high on our list of places to stay. Chris was ready to answer any questions we had before we got there . I would highly recommend this Villa if you want a peaceful place to stay with a beautiful pool . Thanks Chris for making our vacation enjoyable. Your enquiry will be sent to villa ref 1436 only. This page has been viewed 77313 times since 12 Aug 2004.